Something that goes with making a twitter account, I find, is actually great fun! Making an avatar, an image for yourself that people will associate with you. I wanted to create something that was my own so I decided to open up photoshop and soon got to work on a simplistic, yet pretty cool looking avatar (shown above, no down a bit… to the right… there!). I’ll also be using this as a little icon in each post to make them a little bit more stylish. Post your thoughts and opinions in a comment at the bottom of the page! Now, onto my discussion-making attempt. As you’ll have noticed, there’s a great big banner at the top of the site, or below this paragraph if you don’t want to scroll up, which says Yattah (as I hope you realized). I think it looks pretty decent for a first-time photoshop banner, but I expect a lot of you have a load of ideas on how it could be improved, right? Well, I’m hoping you said yes, and even if you didn’t I’d still like to hear your thoughts on the banner, even if you don’t have any ideas for it. 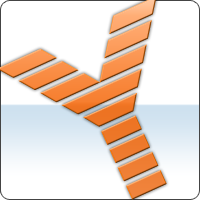 I kind of want the orange Y to be an icon for the site, so I won’t be changing that, but I certainly think it needs a bit of spicing up. Post your thoughts and ideas in the comments! Well, that pretty much sums everything up for now. As ever, I hope you enjoyed reading and that you’ll continue to do so as I continue to enjoy blogging! You’re right, it is a good first time photoshop banner :). Photoshops not always so easy so good job with it, it’s very well done.